Again I'm attempting this with my ipad so the photo is not very special! However it's really easy to list the materials for this card - Blushing Bride is the colour and Lovely Romance is the stamp set, plus a bit of seam binding ribbon. Thanks for looking and a big HI to my new followers - it's great to have you here. Back home soon so normal blogging will resume! 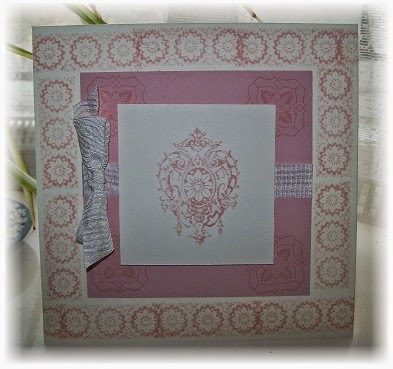 love the stamped image and the pinks on this card Jaqueline. hope all is going well with the family. Sorry to hear you struggled Jacqueline but you've made a really lovely card there.